In order to provide a seamless, transparent and safe experience to our drivers awaiting passengers at Sultan Ismail Petra Airport, we are introducing our new KBR Airport Queue feature. 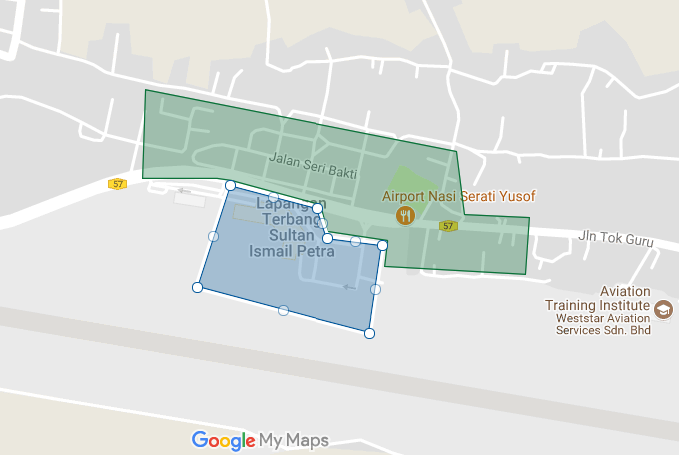 This feature is activated only if you wait for bookings at the Waiting Area, a designated location that has been prepared at Sultan Ismail Petra Airport. This new feature will be available at 11.30am, 12 April 2018 (Thursday). Please park at the designated area only. Switch on your wifi to improve your GPS accuracy. We recommend that you choose and activate only 1 service type on your driver app to avoid losing your queue position unexpectedly. Once a booking is received, remember to contact your passenger via GrabChat to inform them of your Expected Time of Arrival (ETA). Please accept bookings only when you are ready to complete them. Do not ask passengers to cancel WITHOUT VALID REASONS. If you are caught asking passengers to cancel without valid reasons, we will investigate further and will take disciplinary action if necessary. To avoid passenger cancellations, always respond to their calls/GrabChat messages and provide them an update about your whereabouts. Please ensure you have sufficient balance in your Credit Wallet in order to receive jobs from Sultan Ismail Petra Airport. The minimum amount required differs according to your commission rate. Example 2: If you are paying 25% commission, you will need a minimum balance of RM100 X 25% = RM25 to receive jobs with fares RM100 and below. Where is the Waiting Area? So, how will this feature work? Think “First come, first served”. This means drivers who arrive at Waiting Area first will be assigned the booking first. Drivers who arrive later will be placed in a queue and will have to wait their turn for a booking.Once you are at the top of the queue, you will receive the next booking. Your queue position will be sent via SMS. You can also see your queue position via the notification section on your driver app. *Kindly note that we will slowly phase out the SMS queue notification. This feature is applicable for GrabCar and Grabcar 6-seater. Drivers can select to be online for both service type but we recommend only turning on 1 to avoid losing your queue position unexpectedly. How will Drivers be informed of their queue ranking? Once you’re within the Waiting Area, you will receive an SMS informing you of your queue ranking if you’re online. After the first notification, you will be notified each time your ranking changes, up till the time you get a job. You will also receive your queue position in your notification section in your driver app. When there’s a new queue position, your inbox will refresh automatically to show the new in-app message. Each message will expire after 2 hours, please look out for non Terminal Sentral Kuantan (TSK) queue announcements while you are in queue. Be sure you are at the right place. You can also check your queue position in the notification section. If you’ve left the Waiting Area to pick your passenger up and your passenger cancels on you, your queue ranking for the cancelled service type will still remain on the top providing you return to the area within 25 minutes.